Come with us for Four nights and five days of Montreal summer! 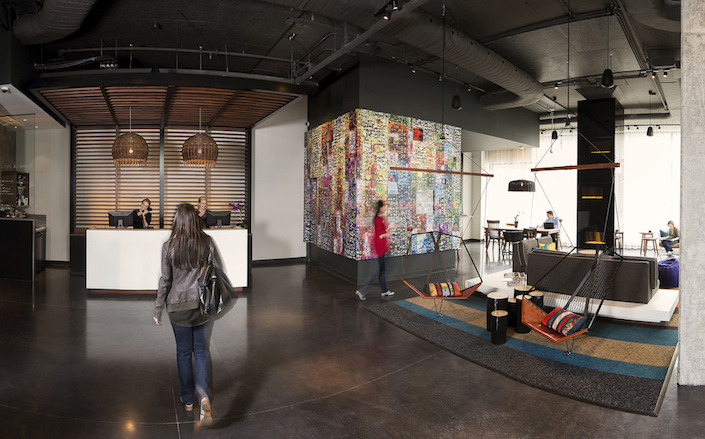 Day 1: (Fri) We stay 2 nights at the new Alt Hotel in the Griffintown area of old Montreal. We meet for a 7:00 pm group dinner at Zibo’s. (Not priced in trip). Day 2: (Sat) We bike the delightful bikeways along the Lachine Canal of the St. Lawrence Seaway seeing the “Locks” in action & enjoy Open Markets, festivals, Art, music, and cuisine. We explore “Old Montreal” and see the 21 miles of underground shops, Botanic Gardens & Olympic Parc & Sights, also accessed easily by bus and Metro. Day 3: (Sun) We head North to Parc National du Mont Tremblant & our Holiday Inn for two nights (7, 8 Aug)…breakfasts included! 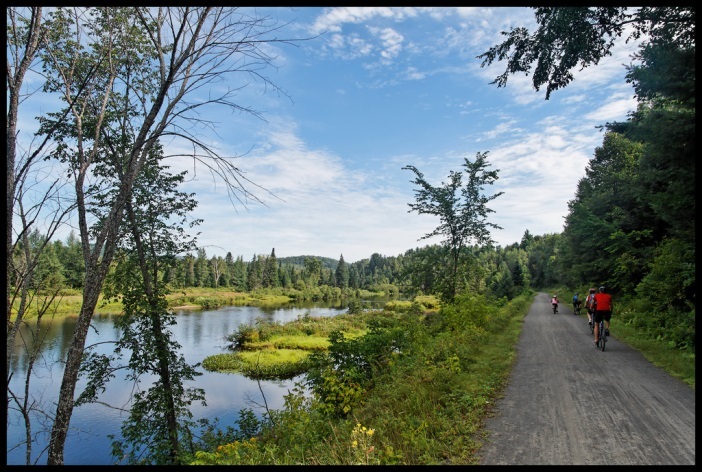 Mont Tremblant is an ideal launch point for our North Country Laurentian mountain adventure & the scenic Rail Trail of Le Petit Train du Nord. Day 4: (Mon) From our Hotel you may ride the Rail Trail with us past beautiful lakes and forested mountains (See Video), and visit the quintessential Historic Train Stations, complete with artifacts and fantastic patisseries and café. For non-bikers you may enjoy the pool, a complimentary ride up the Gondola, or plan a hike. For an extra fee there is kayaking and golf! v 2 Nights Lodging and two breakfasts at the Mt Tremblant village Holiday Inn. v Gondola up Mt Tremblant Mountain, Swimming pool, beach access. Price of trip is only $399. Note: Valid U.S. Passport, NEXUS or FAST card required at the border.